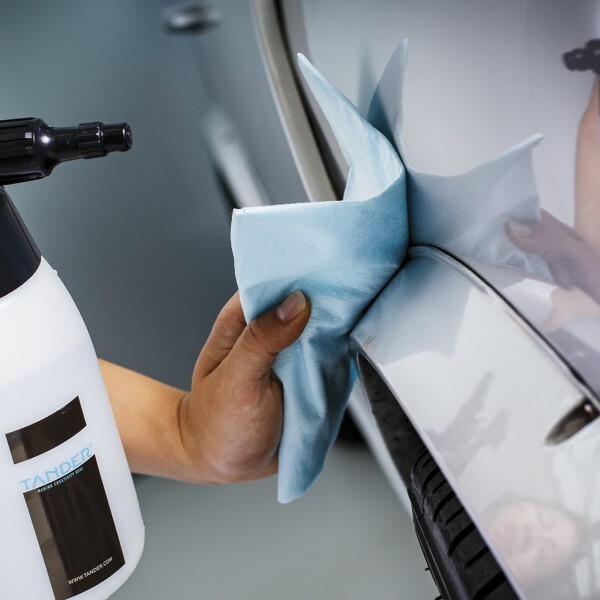 Craftsmen know that a spotless degreased surface is the starting point for an excellent paint or polishing job. To ensure this is the case, they choose the Tander Degreasing Cloth. This alternative to a paper towel guarantees a spotless paint or polishing job due to its absorbent qualities. The cloth is strong, does not shed loose fibres and can be used with water- and solvent-based degreasers. Prevent contamination by choosing the Tander Degreasing Cloth. Store in between 5-30 degrees for optimal performance. Ideal for use in combination with the Tander Pump Sprayer for the best results! ; Use as an alternative for paper towels to prevent paper residue on the surface.